Project management requires both hard skills and soft skills. Learn which soft skills are essential in the life of a project manager. Leading by example is perhaps the most effective way to lead. Learn best practices for leading by example to build trust in your team. Why Isn’t My Team Listening to Me, and How Do I Fix It? 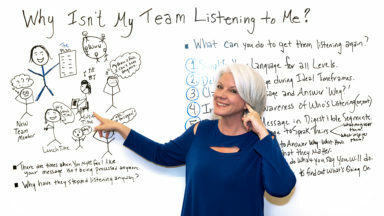 Learn how to get people to listen to you as a leader. It's important to communicate at every stage of a project. 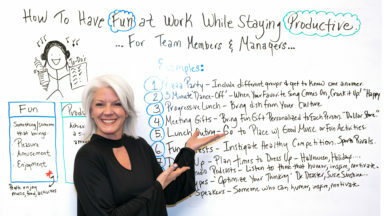 Jennifer Bridges, PMP, shows you how to have fun while being productive. Work can be repetitive, and these tips will help teams renegergize. 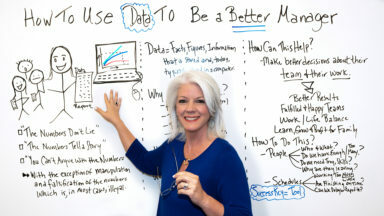 Learn the best ways to use data to become a better manager. Data interpretation is critical for making the right decision at the right time. Learn how to ask for help on your projects, so you don't have to do everything on your own! Do it with confidence and reap the benefits. It's important to make a new team member feel welcome when they join a company. Learn how to make them comfortable and productive. It's important to take a vacation in order to recharge and be at your best when you return. Learn how to transition from work to vacation time. Your boss isn’t always right, and sometimes you need to tell them so. 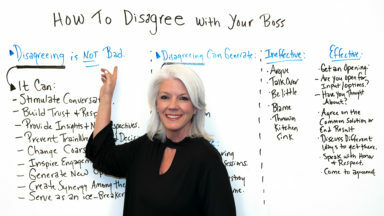 Jennifer Bridges, PMP, shows you how to effectively disagree with your boss. 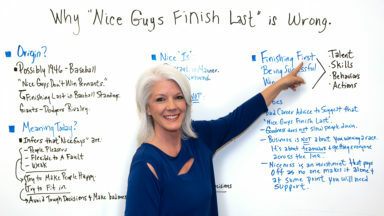 Do nice guys really finish last? We question the conventional wisdom and finds it lacking truth when it comes to good leadership. Are you listening? You better be! It’s a cornerstone of communications. 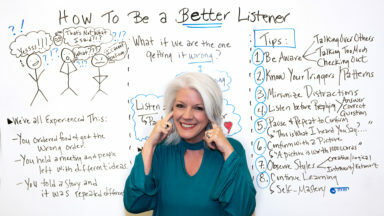 Watch our brief video and learn how to be a better listener. Is it OK to be friends with your employees at work? 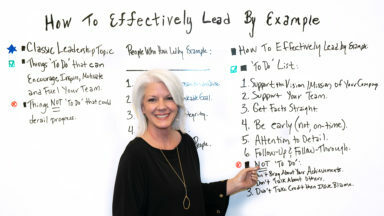 Jennifer Bridges, PMP, shows you the pros and cons of such a relationship. 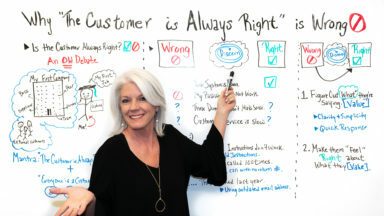 Jennifer Bridges, PMP, looks at that old axiom, "The Customer Is Always Right" and tells you why it’s flawed. Everyone has a theory on what makes a good leader, and with good reason. Leadership is that quality that’s so important for success and so difficult to define. 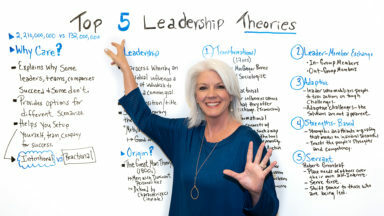 Jennifer Bridges, PMP, cuts through the noise to get the signal on five of the best theories on leadership.